At least once a week, someone posts to the commercial newsgroup seeking a way to finance 100% of the acquisition cost for an income property. I suppose it is fueled by the late night infomercials touting no money down deals and using pictures of Class A apartment buildings, never saying the one describes the other, but leaving a strong impression that that is the case. The way it comes across, one would believe that all you have to do to become a millionaire in real estate is to acquire the properties with OPM, meaning Other People’s Money, and then just sit back and collect the big fat checks they like to flash on the screen. Television is a wonderful thing. After the story is told and the product is sold, no one in the TV cast has to stick around and collect rent. The quest for 100% financing in real estate reminds me of that joke about a dog chasing a car… what’s he going to do when he catches it? I wonder, has he thought this through? I laugh every time I see a dog chasing a car, and think how much he is just like an investor high on the desire to acquire. That’s the peculiar state of mind that surfaces when the target of our desires looks so good that we’ll do anything to get it, with no regard for the consequences. The Desire to Acquire In real estate, the desire to acquire is present when the investor is willing to do anything to get a deal, any deal. Convinced that once you own real estate you’re on your way to the good life, they tap their home equity, or find a seller that will owner finance, and get a bank loan on the bank’s terms, not theirs. Now they’re in a deal, but have they thought it through? Let’s take a look at what happens when you catch the 100% leveraged deal. The infomercial gurus teach that if you find the right seller, then you can structure the deal so that there is no money out of your pocket, and leave the impression that there will be plenty of money in your pocket after you do the deal. More often than not, that’s not the result. Let’s say that you do find a lender that will loan 80%, and a seller that will carry 20%. In all but the rarest of cases, the combined debt payments are going to eat up all but the tiniest portion of the cash flow. It has to be this way, and I can show you why. Instead of projecting how much you’re going to make from the deal, think about it terms of the occupancy level it takes to break even. Then consider the difference between physical occupancy and economic occupancy. Economic Occupancy vs. Physical Occupancy Let’s face it, the deals that we look at with decent prices, motivated sellers, and opportunities for turnaround or upside are usually not the cream of the crop. If it were an A property, with well-screened tenants it probably wouldn’t be on the market at a price that would interest us anyway. So it’s pretty likely you’re going to inherit a less than stellar group of tenants. The first advice here is to factor delinquency into your projections to avoid a rude awakening later. Comparing the economic occupancy to the physical occupancy can be an eye-opening exercise. Economic occupancy differs from physical occupancy, sometimes widely so. Economic occupancy is calculated as the actual cash collected divided by the total potential rents. The answer will be a percentage, and it is important, as we will see in a moment. Delinquency in apartment rent rolls is a fact of life. You are not going to collect 100% of the money due, on time, 100% of the time. It is not uncommon for even well-run apartment buildings to run a 5% delinquency rate, and poorly operated projects may run a 30% or higher rate. For calculation purposes, if the rent is past due past the due date it is not included in rent received. In the same way, vacant apartments are also a fact of life in the apartment business. Vacancies are actually phantom expenses that only show up in an economic occupancy analysis. Together, vacancy and collection losses are typically projected to run 5% of gross income. In my experience that is a low number. In the twenty-five plus years I’ve been in this business, a more realistic figure is 5% for vacancy loss and 5% for delinquency and collection loss. In a twenty-unit complex with average rents of $416 per month, that’s equivalent to one apartment vacant for one year. Every investor quickly finds how easy it is to tweak these numbers on paper to make the bottom line more attractive. I prefer to err on the side of reality, and would advise that you, Tweak at your own peril. But we’ll use the 5% figure for this discussion, just to save the argument, and to prove the point that even using optimistic numbers a 100% leveraged deal is tough to structure. Always Run the Numbers Let’s use twenty-unit apartment building with potential gross income of $100,000. That works out to average rents of $416 per month. If it is a normal building, there will be about 40% expenses, ($40,000), including management, but not including vacancy and collection (delinquency) loss. Included in the expense estimate is a reserve for replacement deduction. This is an annual estimate of funds needed to perform capital improvements. An average figure is between $200 and $250 per unit per year. While many owners do not actually reserve the funds, some lenders will deduct the amount from the cash flow before calculating the debt coverage ratio. Other won’t, but that doesn’t mean the improvements won’t be required. Lastly, if you use the standard projection of about 5% ($5,000) for vacancy and collection loss, then the building must have an economic occupancy of 45% just to operate (40% operating expense + 5% vacancy and collection expense = 45%). That leaves a Net Operating Income (NOI) of 55%, or $55,000. We call it NOI, but the lenders call it, “funds available for debt service.” Ever wonder why? Read on. Most lenders require a minimum 1.25:1 debt service coverage ratio (DSCR) to fund a deal. Some are higher, very few are lower. There’s a good reason for that. At a 1.25:1 DSCR, 80% of the NOI is used for debt service. (1/1.25=.80). In our example, the maximum debt service would be $44,000, ($55,000 x 80%), or 44% of the gross POTENTIAL rent. Add the 45% of expenses to the 44% of the debt service, and you need 89% economic occupancy to break even. That leaves 11%, or $11,000 for profit, pre-tax. That’s with normal deal structure, and 20%-25% cash equity. At $416 average rent, the profit margin is equal to just over the annual rent on two of the twenty apartments. Or, looked at another way, if there are two vacant apartments for twelve months, and the rest of the complex operates normally, the project is going to lose money for the owner. The lender will get paid (in theory! ), but the owner won’t. And that doesn’t take into account any increases in utility costs, insurance costs, property taxes, fix-up cost for a trashed apartment, or any other of a hundred things that can and do change during the year. Now can you see why the lenders are so tough on debt coverage ratios? Pushing the Limits So now let’s move to a deal that has 100% financing. Say you find the above building and the owner just has to get out. He’s willing to take $500,000. That’s an 11% cap rate on the $100,000 NOI, and sounds like a great deal. You’ve got a bank that will work with you on high leverage deals, and they offer to finance the deal with terms of 80% of cost, 7% rate, and twenty-year amortization. That’s probably a little low on rate nowadays, but a fifteen-year term is more typical of local banks. Further, we’re assuming you’ve got great credit, high net worth and are an experienced real estate operator and can get the best loan terms available. The seller wants out of town so bad he’ll finance the rest at 8%, with twenty-year amortization, but a balloon in three years. He wants out, but he does want his money. The annual debt service on the first mortgage ($400,000) with the bank will be $37,214 with a DSCR of 1.47. So far, so good. The annual debt service on the second, seller held mortgage ($100,000) would be $10,037. That’s total debt service of $47,251, or 47.3% of gross potential income, and a cumulative DSCR of 1.16:1. Add 45% expense and a conservative vacancy/collection loss allowance, and the break-even economic occupancy level is increased to 92.3%. Or, stated another way, the best-case profit is 7.7%, or $7,700 per year. The most you can make is $641 per month, if everybody pays on time and nothing happens. That’s a cushion of one and a half apartments per year over break even, before any unanticipated costs or expense increases. That is a razor thin margin. Now go back to the more realistic 10% vacancy and delinquency loss and the break-even economic occupancy becomes 97.3%. If anything outside the perfect world of the paper projection happens, anything, then you’re running negative cash flow. You’re upside down from the get-go, and few if any options to cure it. So now tell me, you’ve caught this deal, now what are you going to do with it? Can you imagine yourself a year from now being a don’t-wanter seller? I’ve seen it happen just that way so many times. Is This Your Story? I had a call a few weeks back from a fellow that bought a small apartment project we had looked at about a year ago in a town about thirty miles from our office. He wanted to sell, and called us because we are fairly well known as buyers in the market. He started describing the place and it sounded familiar, so I asked if he had bought it from Mr. Jones. He said yes, and I knew it was the same deal we had looked at. I asked a few questions. Nothing much had changed. He had painted the place, but the rents were the same. I asked him how much he owed, and he said $240,000, twenty percent of which was financed by the Seller. He was three payments in arrears on the Seller’s note because there had been two vacancies he couldn’t get filled. He mentioned that this was his first real estate investment and he really didn’t know what to do. I could hear the strain in his voice, and could tell he really wanted out. I said I was sorry, but I couldn’t help him. I didn’t preach this sermon, figuring he was already paying tuition for an advanced degree in the proper use of leverage. His desire to acquire was stronger than his desire to learn how to figure cash flow before jumping into a deal. He didn’t think it all the way through. Pigs Get Fed¦ If all of this doesn’t give you pause to think twice about high leverage, then consider this. If the building in our example is full, there are twenty tenants with payments due each month. That’s 240 payments due each year. That’s also twenty potential stories each month as to why you can’t get your money, 240 potential stories each year. What is the probability that of the 240 potential payment events per year, somebody won’t pay on time? That should make you wonder how well the tenants you inherit from the Seller were screened. Or did he just get warm bodies to fill the place to sell? Believe me, it happens. Don’t get me wrong; there are situations where 100% leverage is possible and profitable. I’ve done it a number of times, but in every case there was considerable upside available, or a development opportunity that I could capitalize on to better the odds of success, such as my original offer on the deal above. We structured the two offers so that either way we could win. It had the potential to cash flow in the present, and plenty of upside in developing the property next door. We walked when we couldn’t structure the deal to win. Someone else came along and wanted the deal bad enough to do whatever it took to acquire it. Now the Seller has a non-performing note behind a first mortgage that is barely being serviced, both secured by a property that is declining in value because of poor management and a tough market. Did anyone really win? There’s another saying that comes to mind here, Pigs get fed, hogs get slaughtered. That’s a barnyard expression to describe what happens when we reach for more than we’re entitled. Ray Alcorn is an active investor who averages over $10 million in deals per year. He has over 25 years of experience in owning, developing and managing commercial real estate of all kinds, including mobile home parks, single-family subdivisions, apartments, hotels, restaurants, office buildings, shopping centers and multi-use projects. When not writing books and causing mayhem on internet newsgroups, Ray is the Chief Operating Officer of and a principal in Park Real Estate, Inc., a real estate development and investment firm with headquarters in Blacksburg, Virginia. 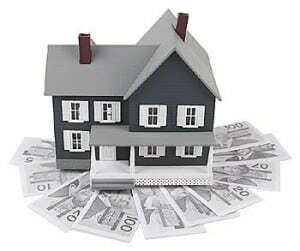 This article is provided courtesy of the REIClub, a club for people with an interest in Real Estate Investing. Whether you want to expand your investments, hold steady and monitor your current portfolio or you’re just curious about Real Estate, you are invited to subscribe to the REIClub monthly newsletter ” for free, and become an Insider. You even get a few very nice bonuses. It takes less than a minute to subscribe, so do it now!